This guide will take you through the steps to log into your Hoowla account. 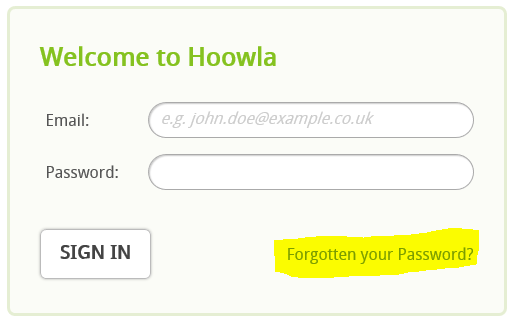 If you have forgotten your password and cannot login to your Hoowla account then please use the password reset option also detailed in this guide below. Enter in your email address and password into the boxes and select sign in. If you have forgotten your password then select “Forgotten your password?”, enter your email address into the box and select reset password. You will be sent an email with instructions to reset your password.